The locomotive visited the test track in April 1987 to evaluate its pantograph aerodynamics and was tested at up to 95 mile/h. 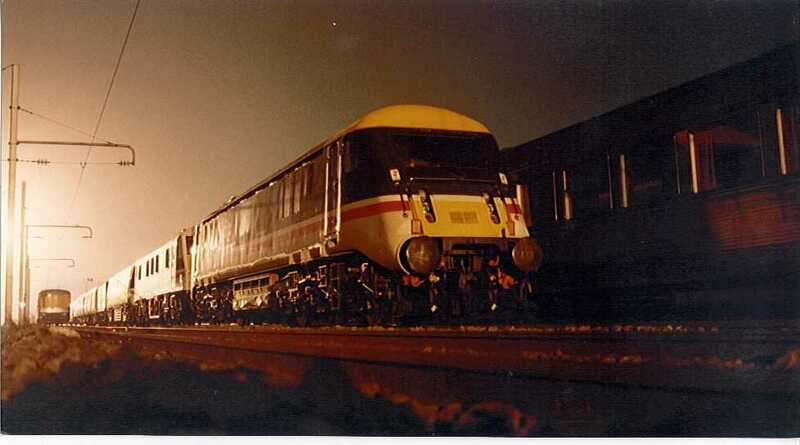 This was the maximum speed of the class 47 which was used to propel the locomotive. 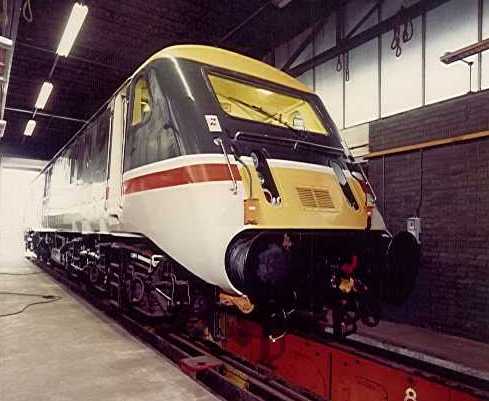 See the aerodynamic tuning page for photographs of the 89 and also the pioneer class 90 during their pantograph tuning tests. 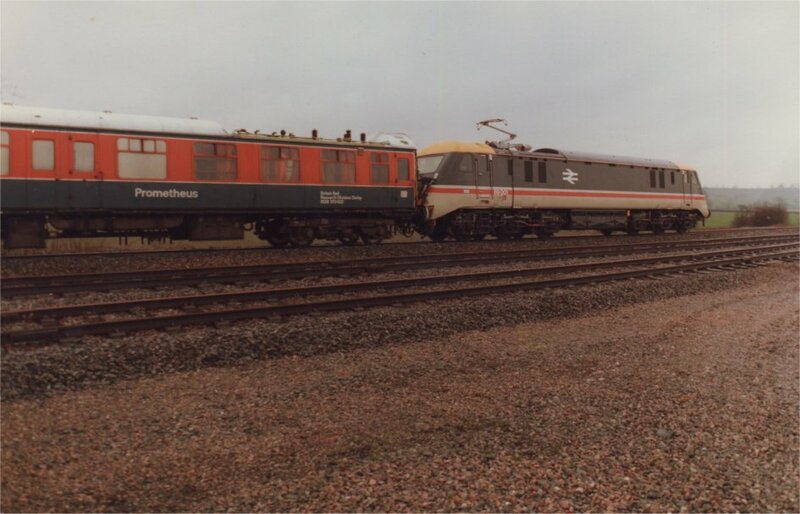 It returned in May 1988 as part of the IVA88 special train, which was subject to some braking trials at Old Dalby, prior to being despatched to Hamburg. Here are a few pictures of the loco at Old Dalby and elsewhere. 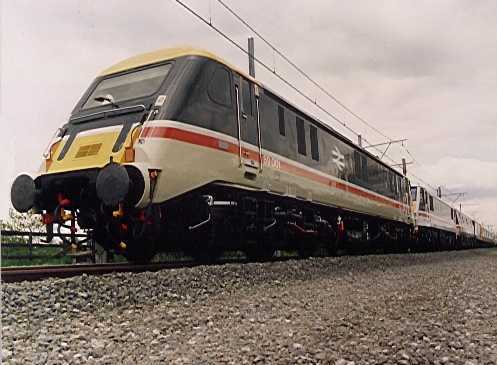 On its first visit to the test track the locomotive is pictured just south of the Control Centre whilst undertaking aerodynamic pantograph tuning. 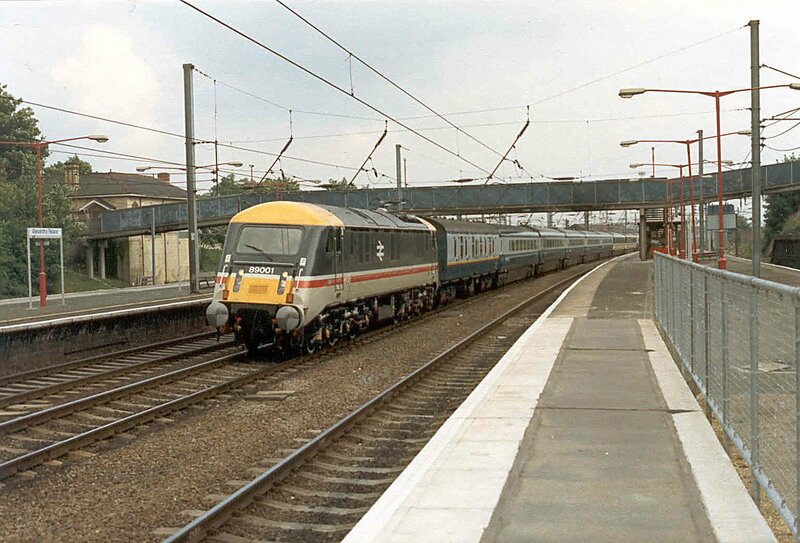 The locomotive was used for a few years alongside the Class 91's on the KX- Leeds services. 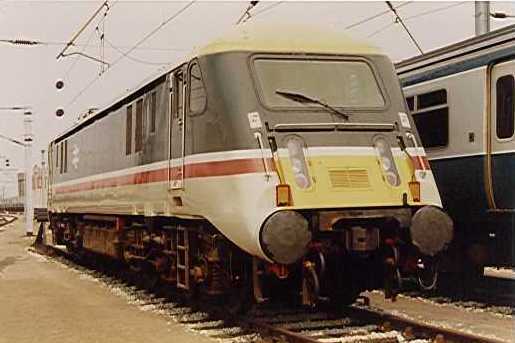 From 2000 the loco was withdrawn following serious traction motor defects and in late 2001 it was transferred to Bombardier's works at Doncaster where it was stored out of service. 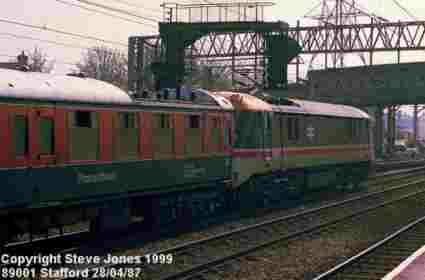 However in mid-2004 with the imminent redevelopment of the Doncaster site, 89001 was facing homelessness. 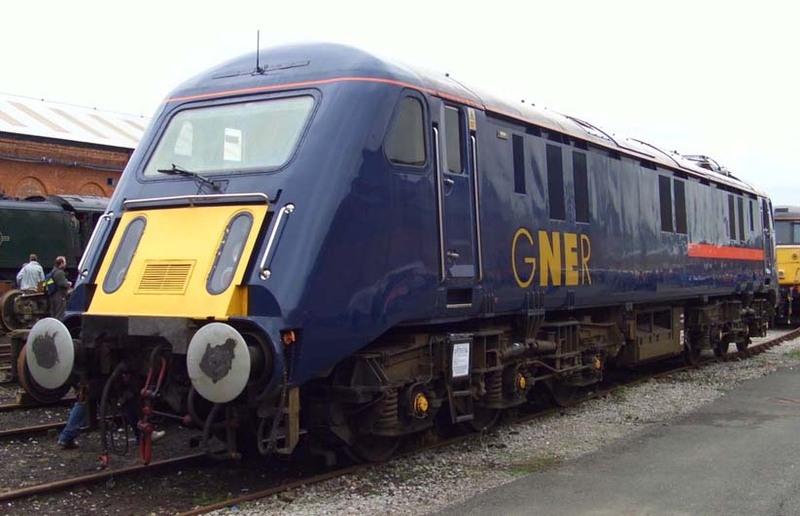 Following discussions between GNER's engineering team and The AC Locomotive Group, it was offered a home at Barrow Hill, alongside their existing heritage electric fleet. It made its move by road from Doncaster Works to Barrow Hill on the morning of 17th December 2004. 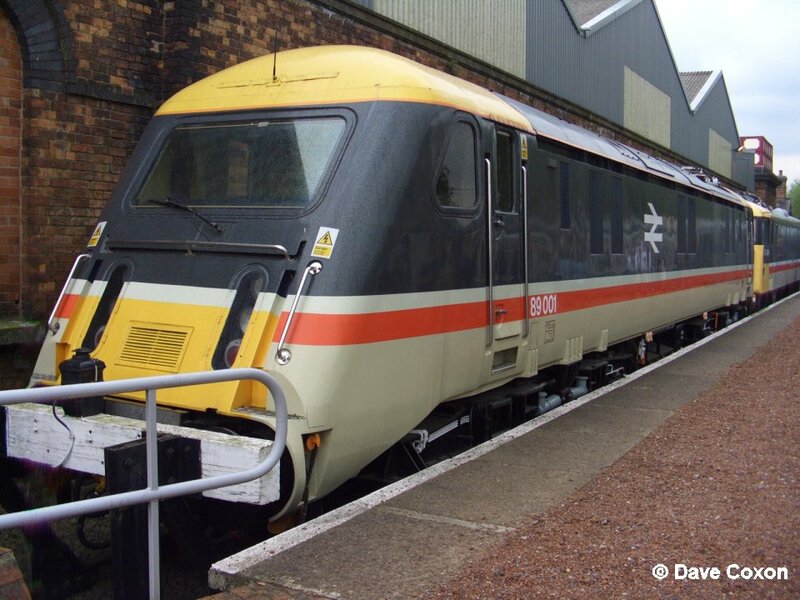 89001 will remain in store in the Group's care for the foreseeable future and will be kept presentable and secure. 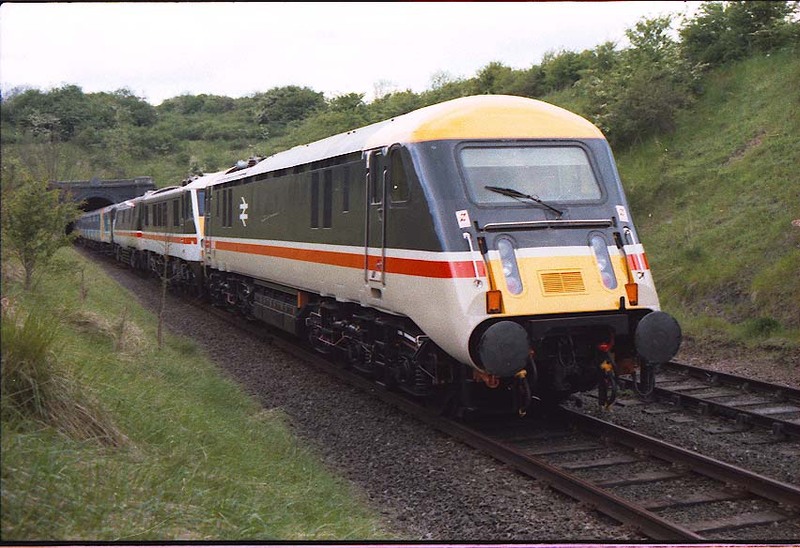 It has now been re-painted into InterCity livery and is being considered for complete restoration to running condition.